The motel and restaurant are now closed. 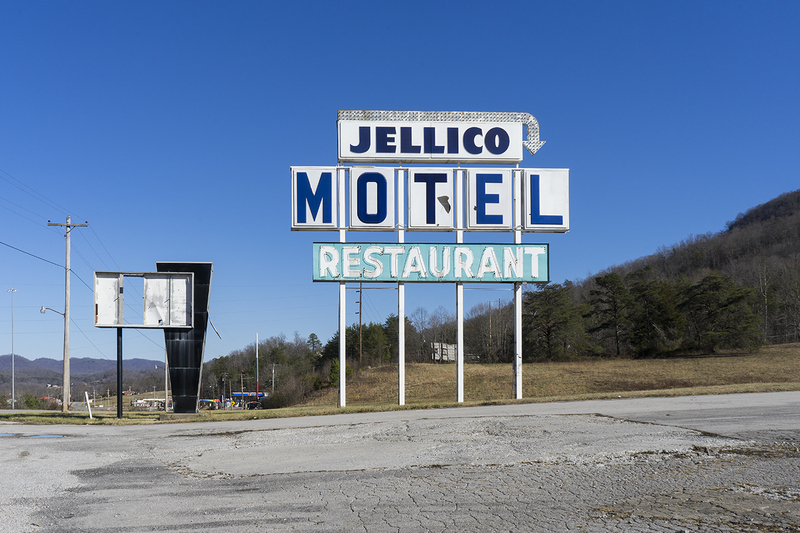 But the sign still stands, a lonely beacon on Jellico Mountain in Tennessee. The sign is dark blue and light blue while the sky is a clear blue with no clouds in sight.